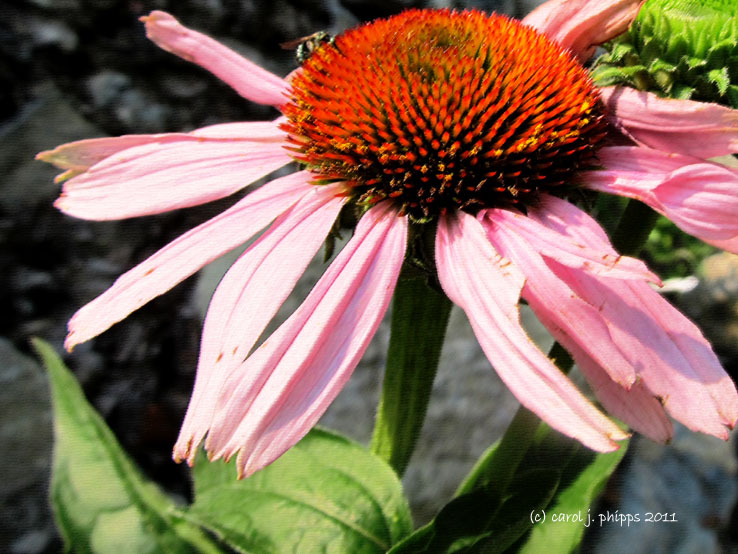 carol j. phipps | all galleries >> Galleries >> Come Walk in My Garden! > Ruby Coneflower. Now that June has been warmer and dry, we are seeing some new blooms everyday! Hurry! And you are photographing them wonderfully. Cone flowers are one of my favorites and this is a beauty. V.